Debts which were obtained shortly before filing for Bankruptcy, including cash advances, along with debts incurred through fraud, theft, willful or malicious injuries to another or their property and debts incurred through intoxicated use of a motor vehicle are presumed to be non-dischargeable. 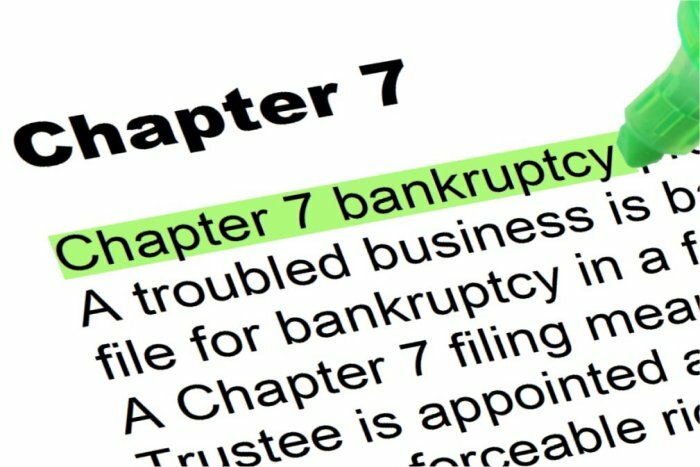 The filing of a Chapter 7 Bankruptcy case requires a truthful and complete disclosure of all assets, debts, income and expenses and the Bankruptcy Petition is signed under oath and under penalty of perjury. To file a Bankruptcy case, it will be necessary to provide: pay-stubs (or verification of all gross income) from all sources, for all household members, during the past six (6) months, Titles for all motor vehicles in your name(s), recorded Mortgage and Deed for any real estate you own anywhere in the world, State and Federal tax returns for the past two (2) years (along with Business Tax Returns for any business in which you hold a 5% share or more, or if you are an officer, director or otherwise receive any income from the business), copies of Statements from all financial accounts, including retirement funds and verification of any loans which have been taken against retirement funds, and a reasonable budget showing average monthly income and reasonable expenses which show an inability to fund a significant repayment plan. The Bankruptcy case will require information and documentation in addition to the items listed above, but the items listed are some of the more difficult documents to provide. The filing of a Chapter 7 Bankruptcy case requires a truthful and complete disclosure of all assets, debts, income and expenses and the Bankruptcy Petition is signed under oath and under penalty of perjury. The total value of the property which may be retained through bankruptcy is subject to limitations known as “exemptions.” The Federal Bankruptcy Code provides exemption options and the State of Wisconsin provides separate exemptions. In a majority of cases, all assets will be within exemption limits and may be retained through bankruptcy. If your property has been pledged as collateral to “secure” a debt, like a home mortgage or financed auto, you will have the option to either keep the collateral and “reaffirm” the debt by agreeing in writing to continue the terms of the original contract, or “redeem” the debt by paying a lump sum, or to surrender the collateral, in which case any remaining deficiency owed on the contract would be included in an ordinary Discharge Order.